I've been making homemade ketchup for several years, but it wasn't until a few days ago that I realized I haven't actually shared any of those recipes here. HUGE oversight on my part, as this is one of the easiest and coolest recipes I know. Sorry about that, but I'm fixing it now! No more complicated than making a simple homemade pasta sauce, you really only have to combine some ingredients in a pot, let simmer, and then puree into a flavorful and luscious ketchup that will blow that squeeze-bottle stuff out of the water. 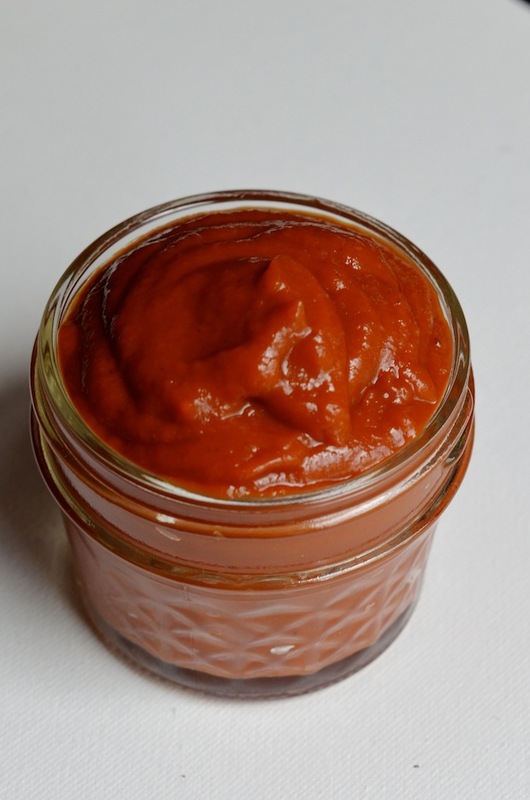 This recipe is for one of my favorite variations--a spicy ketchup with just a tiny bit of smoke from chipotle peppers, and plenty of heat from ground cayenne. A touch of lime juice adds another dimension. 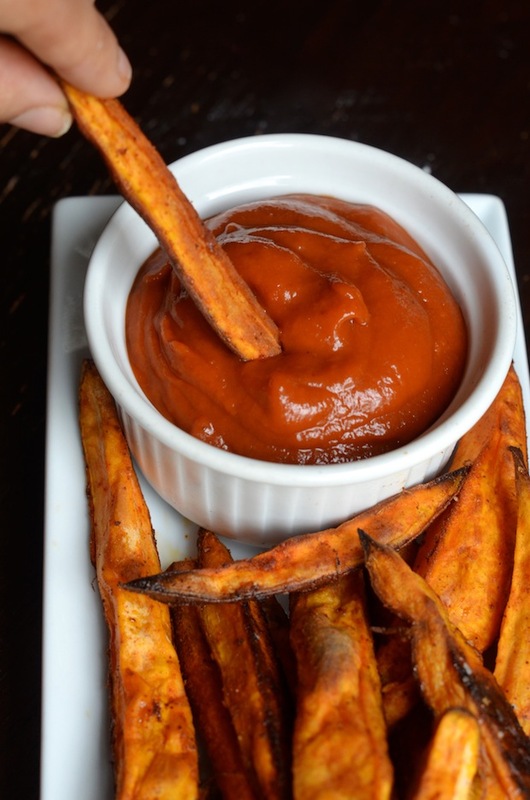 I love this one with baked sweet potato fries, spread on a burger, or with crunchy chicken tenders for dipping. I'm sure it would be awesome about a billion other ways, too. Seriously, you can't go wrong with this one. Combine all ingredients in a medium saucepan, and bring to a boil. Lower heat and let simmer 1 hour, stirring occasionally. Remove from heat and let cool 20 minutes, then puree until very smooth. Taste and adjust seasoning as necessary. Transfer to a jar and refrigerate. Will keep 2-3 weeks in the refrigerator. Can also be frozen.